Welcome to the Modern Triangle Quilts blog tour! Instead of the typical book tour blog hop, Rebecca Bryan thought it would be fun to do something different. She decided to make a charity bee quilt with blocks donated by some of her favorite designers. 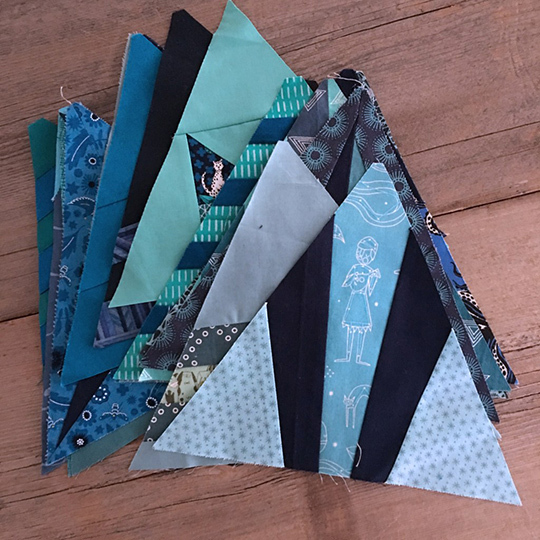 She asked them to each send her at least one block from Modern Triangle Quilts, inspired by the blue and green color palette from her column in Love Patchwork & Quilting. After receiving all the blocks, she got to work coming up with a pattern, and the result is Well Wishes, the beauty of a quilt below! And here's the best news: you can enter for a chance to win it! For a limited time only during the duration of the blog tour, the Well Wishes PDF pattern will be available for purchase. The pattern is $5, and you can purchase the pattern as many times as you like. Each purchase equals one entry. 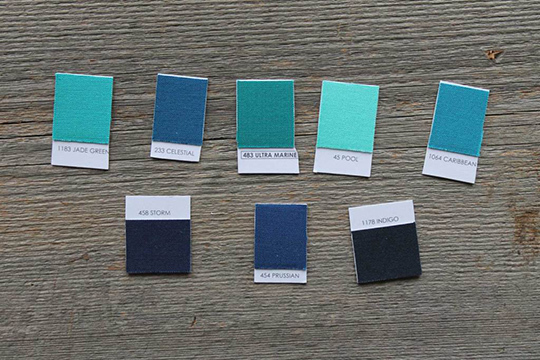 All the proceeds of the sales from the pattern will be donated to Living Water International. Find out more details in this blog post. 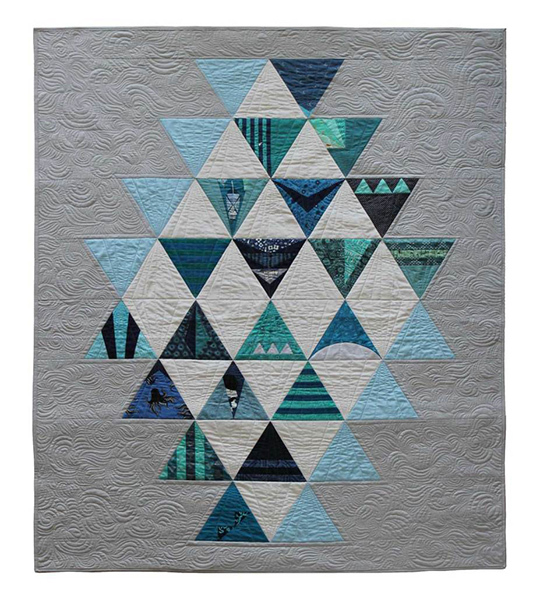 C&T Publishing is also giving away one copy of Modern Triangle Quilts for each stop on the tour! Please note that only addresses within the U.S. receive a hard copy of the book. Due to the extreme cost of international shipping, international winners receive the e-book version. You can enter this giveaway right here: a Rafflecopter giveaway. Be sure to visit all the stops on the tour!